The global 5v5 tournament created by the Brazilian superstar will be hosting local qualifiers in 53 countries from now until June 25. 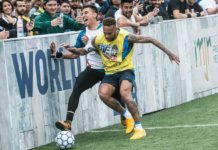 From Pakistan to Hong Kong to the Netherlands, national winners will move on to the World Championship in Brazil for a chance to meet Neymar himself and vie for the coveted title. For registration information on a city near you, visit www.neymarjrsfive.com. Arguably the most competitive street football and panna competition in the world, the Pannahouse Invitationals takes place over two days this year in an expanded format. The finals will see invited competitors plus winners from three local qualifiers compete at the Street Mekka center in this highly anticipated Copenhagen Panna House event. Two of the three Danish qualifiers have already passed, with the last one happening April 29 in Aarhus. The Danish party continues with the European Street Cup, a massive gathering featuring street matches, panna battles, and freestyle competitions over three days. The event occurs during “Landsstævnet,” Europe’s biggest sports festival—so expect huge crowds! With a total prize pool of 3000 Euros, the competition will feature top talent duking it out. Feel free to bring the kids for this family friendly affair. Billed as “3 days of madness” the Freestival Street Games is a competition for true ballers. 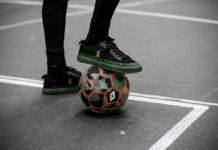 An open world championship, competitors and spectators alike can enjoy hip-hop performances and graffiti artists in addition to a deluge of street football, freestyle, and panna talent. Last day to register is June 2! The biggest, most competitive freestyle competition in the world returns this August, this year taking place in Prague. Considered the holy grail of freestyle competitions by elite contenders, the event includes five days of competition leading up to the finals on August 26. Deadline to register is August 10! The 15th edition of this internationally lauded tournament takes place in Oslo this year in the prestigious Rådhusplassen square (The City Hall Square). The Homeless World Cup Foundation is a social movement utilizing the power of street football to support men and women on the margins of society. To date, the foundation has collaborated with 73 different countries to deliver street soccer programs and support over a million individuals worldwide.